Bruce Taylor’s hopes for a first major offshore handicap victory with his 40-footer Chutzpah from Victoria hang in the balance with the perennial Komatsu Azzurro, Shane Kearns’ two-time Noakes Sydney Gold Coast Yacht Race overall winner sliding north and meeting its required average speed target with 60 nautical miles to go, as of 0900 hours on Tuesday July 31, 2018. “We are off Lennox Head and the crew is quietly optimistic whereas I’ve been writing my speech since we left the heads on Saturday,” Kearns rang through at 0900hrs, adding his usual good-humoured humility. 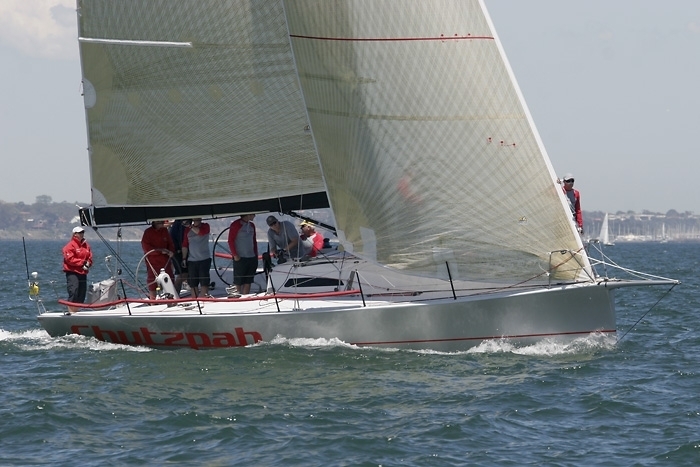 A circumspect Taylor, sailing for the Royal Yacht Club of Victoria, is once again back in a position he knows all too well having scored multiple top five results from 32 Rolex Sydney Hobarts with six different Chutzpahs, but never the main trophy. He also has at least seven Gold Coast races on his CV. 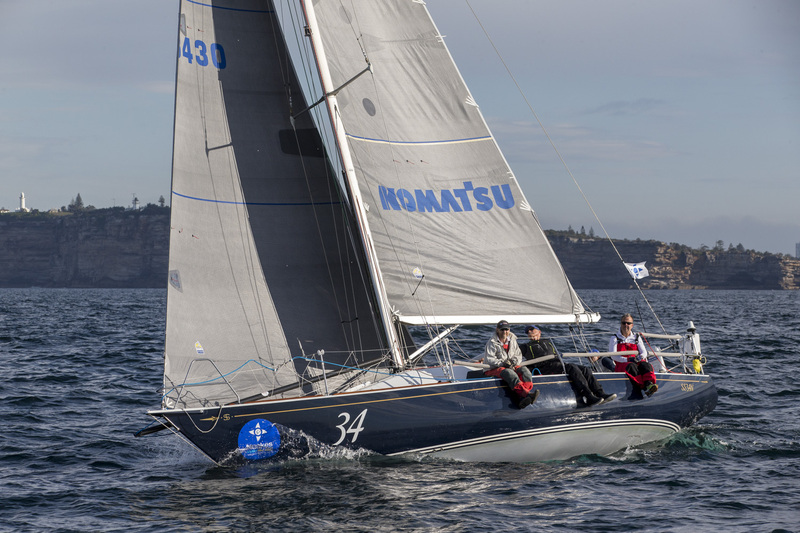 “From our point of view it’s Wild Rose and the Rolex Sydney Hobart in 2014 revisited, when we thought we won it and everyone was being nice to us and then a southerly blew Rose home,” Taylor said from Southport Yacht Club as he and his Caprice 40 crew anxiously follow Komatsu Azzurro’s progress on Yacht Tracker. 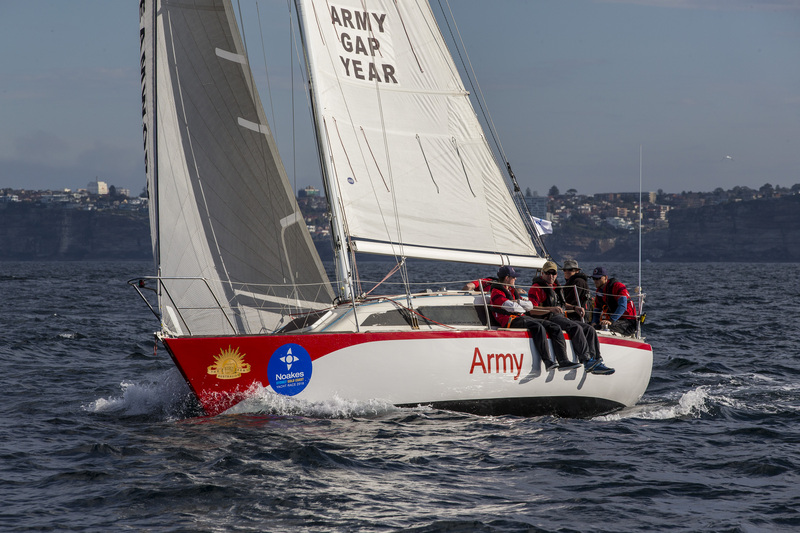 Last in the fleet, the Army Sailing Club’s Jarkan 925 design called Gun Runner, still has 130 nautical miles to sail and is due into Southport early August 2. The time for the official race trophy presentation has been set for 10am Wednesday August 1 at SYC. 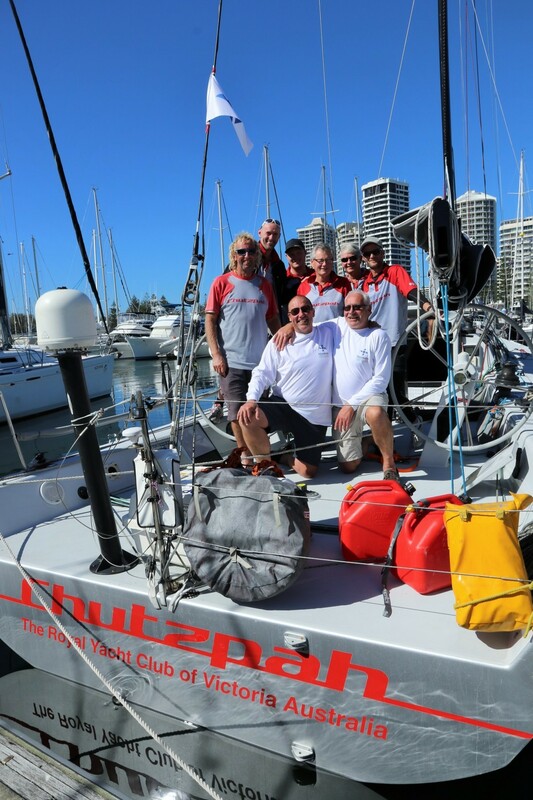 This Friday’s start of the Brisbane to Keppel Yacht Race from Moreton Bay is the next event for some of the Gold Coast fleet, others will head straight to Airlie Beach and Hamilton Island Race Week for those regattas.